My friends Sebastien Lasserre and Sylvain Aubert just posted a funny video on the Vampire theme. It is mainly French play-on-words kind of humour but the facial expressions and fun acting backed by a catchy sound track and quirky sound design should make you laugh. 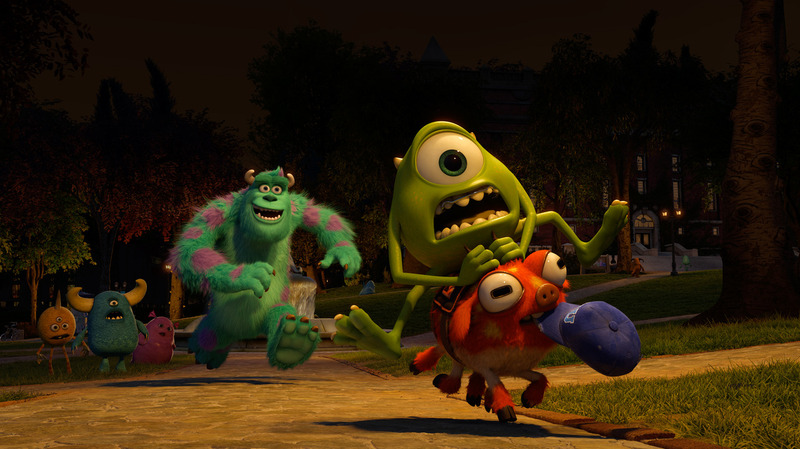 Have you ever seen wireframes of a Pixar character model or even a Pixar modeler’s demo reel ? Me neither, but that was until today! 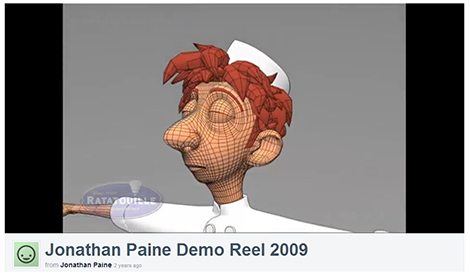 Thanks to the recent adoption of Pinterest by animation enthusiasts, I just found the modeling showreel of Jonathan Paine, a fine modeler/sculptor who has worked on some of our beloved Pixar animated short films and features like Boundin’, One man band, Ratatouille, Cars, Up and also Blue Sky’s greatest IP : Ice Age. If like me you have an obsession for polygon wireframes and naked meshes, head over to Vimeo to enjoy a great display of skills. For this first week, our teacher Nathan Fowkes asked us to do 12 under one hour studies of photographs, paintings or any reference that we found interesting. I have been collecting color scripts and movies screenshots for quite a while so finding references wasn’t difficult. Painting was an other story… I have a whole set of clean-up brushes for character designs but when it comes to painting, I realised all my brushes were of no use and had to find some new ones more appropriate for that kind of exercise. I also had no clue how to go about painting in Photoshop but my knowledge in oil painting and lighting came pretty handy. 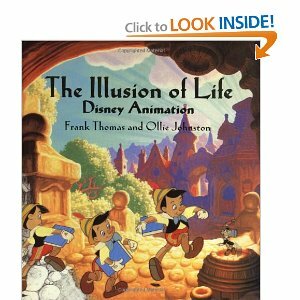 If you still haven’t bought “the Illusion of Life” or the “Frank and Ollie” DVD I don’t think you can really call yourself an animator! 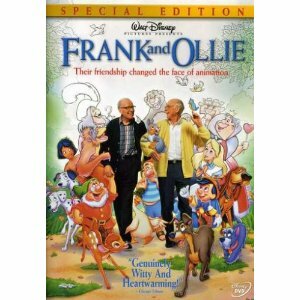 There is nothing I can do for you regarding the Bible of Animation but if you were put off by the “Frank and Ollie” DVD’s NTSC only format you are in luck, Youtube user Paul Stanton posted a more or less legal copy of that fantastic and hearwarming documentary on Disney’s legendary animators Frank Thomas and Ollie Johnston. If you are too cheap to buy the DVD, I highly recommend you to watch it before Disney’s legal department finds out. I will take this opportunity to mention the AWN hosted Frank and Ollie website, a website whose content was created by Frank and Ollie themselves in (cough) glorious Comic sans. 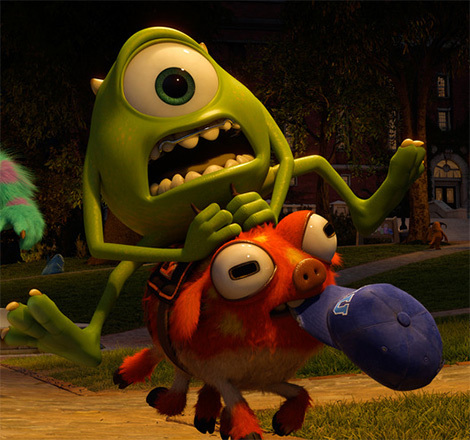 The website contains a great amount of animation notes you need to keep reminding yourselves. 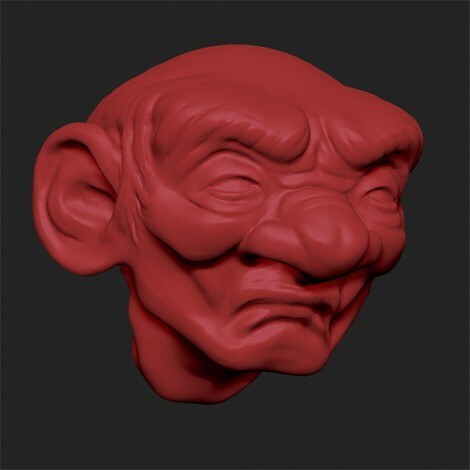 Zbrush 4.4 and dynamesh are awesome. Mudbox’s interface makes way more sense but for some reason I prefer sculpting in Zbrush. Here is a quick straight-ahead sketch I did yesterday as a way of procrastinating using mainly the clay tube brush. If I was always that productive when procrastinating….. Sorry for not posting much those days. I have just started working on a feature here in Angouleme and I am also using the opportunity of finally having a stable job, or at least to live in a town with plenty of animation work to finally test for my Black Belt in Taekwondo after 15 years doing other forms of martial arts. Ah, the feature is called Minuscule, Valley of the Lost Ants by the way, it is a fun movie which was started on the back of a very successful TV Series of the same name and several TV specials. You can find some episodes on Youtube and a pretty nice teaser on the blog. Enough rantings, let’s start this new year with some education material. 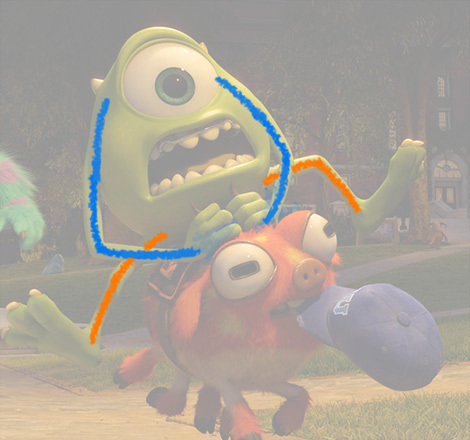 Pixar just released some really cool Monsters University screenshots on the Disneypixar tumblr page and I couldn’t help noticing a great example of Bend Bows. Bend Bows are the controls you can normally find in a rig between the shoulders, elbow and wrist for the arms, or hips, knee and ankle for the legs. Here you can see how the artist made the most of those to soften Mike’s otherwise stiff looking arms by creating a nice rounded curvature of the arms that nicely echoes his head’s rounded features and also creates a very pleasing line of action. Here is a draw over so you can clearly see those. When animating, I wouldn’t recommend you to block those before the final pass of polish. These are just the icing on the cake or the extra paper cuts as Mike Makarewicz would say. You don’t want to exaggerate the bend bows too much either or you might end up going off model. Monsters Inc is one of my favourite Pixar movies, I can’t wait to see the prequel and finally be able to buy the “Art of Book”. The original is now a collector you know ! By the way! I never got around to posting that Bobby Chiu’s interview of Mike. Clearly Bobby didn’t really know what animation specific question he could ask Mike but I am sure you will still get something out of it.